Which Lexus Models Have AWD? 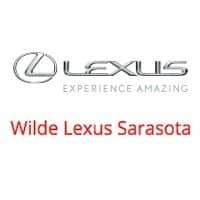 If you’re searching for a Lexus vehicle with all-wheel drive for your on or off-road drives near Lakewood Ranch, then Wilde Lexus Sarasota has you covered. From sedans to SUVs, choose from the following Lexus AWD models below, then visit Wilde Lexus Sarasota for a test drive! First and foremost, it’s important to understand the Lexus AWD technology. The exclusive Lexus system automatically sends power to two or four wheels as needed to improve traction. Regardless of the road conditions, Lexus AWD provides drivers with a smoother ride. Plus, Lexus AWD includes Cornering Control, which assists Venice drivers with oversteering and understeering, which boosts stability and control. The 2019 Lexus GS 350 AWD comes equipped with a 3.5L V6 engine that delivers 311 hp via the advanced Lexus AWD system for better grip from this midsize sedan. Starting at $52,355 MSRP*, this full-time 4WD system features TORSEN torque-sensing limited-slip center differential, which can be locked to optimize off-road traction. Starts at $86,080 MSRP*. This AWD model features incredibly towing capabilities of up to 7,000 pounds when properly equipped and off-road technology. Now that you’ve discovered Lexus AWD, schedule test drives of your favorite Lexus AWD models at Wilde Lexus Sarasota! We’ll also go over your financing options and rotating vehicle specials so you can save on your luxury AWD vehicle. Have any questions in the meantime? Contact us! When Is the Best Time to Buy a Lexus? What Is the Lexus Safety System Plus? 0 comment(s) so far on Which Lexus Models Have AWD?